Category Archives for "Running Your Emotions"
So, what about anger? Does it ever show up with your kids or with your parenting? How about in marriage? I’d love to hear your comments or answer your questions. P.S. If you’re finding what I’m sharing to be helpful, won’t you please share at facebook and twitter to let others know? Thank you! Nick Saban a perfectionist? Maybe, maybe not. Jody & I met while were were attending the University of Alabama and saw the Tide win two national championships back then. Saban wins partly because he has standards that he holds his players to. If standards are high enough, then perfection is the end game. Now, I say all of this to tell you that if you have standards yourself that flirt with perfection, then you are probably making your self/spouse/kids/employees miserable. Think about it. 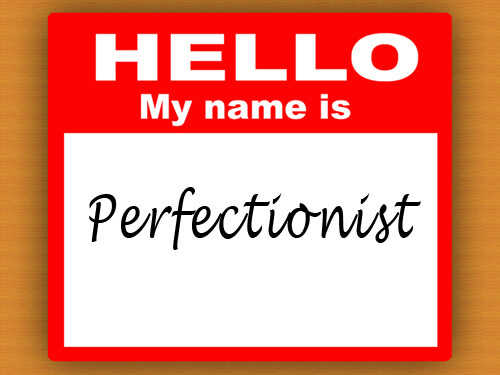 Perfection means you must compare where you are currently to where you can likely never get in this lifetime. It’s like trying to catch the horizon (good luck with that). When you compare your results with perfection you lose perspective. When you compare your results with the past you gain perspective. Back in the late 70’s there appeared a pop button ‘PBPGINFWMY’ which stood for, “Please be patient; God is not finished with me yet.” If you aren’t there and there is basically unachievable, then bummer. 98% is plenty good for almost everything (and the other 2% just ain’t worth it). Think about college— a 98 and a 100 are both still an A(+). Is the energy required for that extra 2% worth it? Rarely. I’m not saying we shouldn’t have standards, nor am I saying we shouldn’t strive to do our best (whatever that is?). Instead, I’m suggesting that on the extreme of having perfection as a standard simply doesn’t produce much practical good in any endeavor. In our writing training we encourage students to work from OK to GET HELP to MAKE IT GREAT. In this way people can get started. Frankly, you can’t start with perfect. I’m also pretty sure you can’t end there either! CAN WE REALLY CURE ANGER? Even for my upset little 6 year old child/grandchild? Cure implies disease (or dis-ease), so off the bat you really need to notice that if you misdiagnose the problem then your odds of finding a 'cure' diminish greatly. What causes ANGER? If we can get that down then we can start thinking about the cure. Of course, I'm talking about the wisdom level on this topic, so especially spiritual issues will need to be discussed separately. Justice is simply about right and wrong. When you see anger in yourself or others then first ask, "How has this person (or you) been wronged?" In the old days we called this righteous indignation, but now we'd just call it 'no fair'. It also makes sense that if someone thinks they've been wronged then it is clearly frustrating (frustrated = nice word for ANGRY), doesn't it? It's mistreatment and a violation of what we value in the world. Politics is full of this kind of anger as people take up causes for themselves and others. Control is about our ability to influence, or we might say 'do something' about a situation or need we care about. Face it, if you could do something you'd do it instead of being angry (unless an injustice is mixed in!). So, when we are in circumstances where we are trapped, then frustration (ANGER) is an only natural outcome. Children in particular who are stripped of all choice tend to develop an angry orientation. Knowing this actually helps us a lot if we can realize that there is a more essential cause of our perception of injustice or loss of control. The essential cause is THE RULES we have in our heads. Anytime we think SHOULD, MUST, or HAVE TO, then we can rest assured we are only a circumstance away from anger. For example, take a young boy who believes the RULE that "I should get my way." What will happen when he doesn't get his way? It will be both a violation of his sense of right-and-wrong AND a loss of control (no ability to get his way). Anger is an expression of how this RULE contradicts his situation, kind of like when a cold front hits warm/moist air! Sadly, this can result in 'getting his way' so the anger also becomes a habitual strategy for control in most situations. Or, think about a teenage girl who has a RULE that "Sally Bae should be nice to me." If Sally Bae is nice, no problem. However, if Sally Bae is a 'mean girl' then ANGER is bound to join the party. ​Making a RULE that you or others 'shouldn't be angry' only multiplies the problem because you'll get angry about being angry. Even the Bible knows that getting angry isn't evil all by itself (Ephesians 4:26 says, "Be angry, but do not sin."). The cure is profoundly simple, but it takes a little work sometimes. If ANGER is caused by RULES, then the ANGER will disappear when the RULE is changed, true? Yes, ANGER really works that way, but maybe you don't want the rule to change. If murder is an injustice and someone you loved was murdered, then it is going to be a no-go to simply drop the murder-is-wrong RULE. On the other hand, whenever you can adjust the RULE in your head or someone else's, then the anger will drop off. Ecclesiastes 3 tells us that God will deal with all the wrongs, so if you have that orientation you can get off the anger train by letting God handle it. If this isn't your view, then you might want to hold on for an anger filled life in this often unjust world. The next best option is to choose to limit the number of causes that will torque your jaw. When working with kids it's really all about the RULES. Getting them to think through the truth/error of something like "I should always get my way," or "____________ must be be friend," is an important step. Why should you always get your way? Where is it written that you should always get your way? Are there any other children who always get their way? These kinds of questions don't look like much, but even children can wake up and notice that their thinking doesn't make sense. Furthermore, once they understand that life doesn't match a particular rule (and never will), then they can more easily give it up along with their anger. Where is it written that _____________ must be your friend? What if someone you don't like that much insisted that you be their friend? How would that work? Why would you want to be friends with someone who doesn't like you that much? These kinds of questions also don't look like much, but they can go a long way in helping deal with anger. 1. "Wishing something" were true is different than having a RULE about it. Wishing Sally Bae was your friend is different than demanding it (She MUST BE my friend). The result is being disappointed, but it isn't being ANGRY. 2. Most anger issues can only be dealt with one-at-a-time. 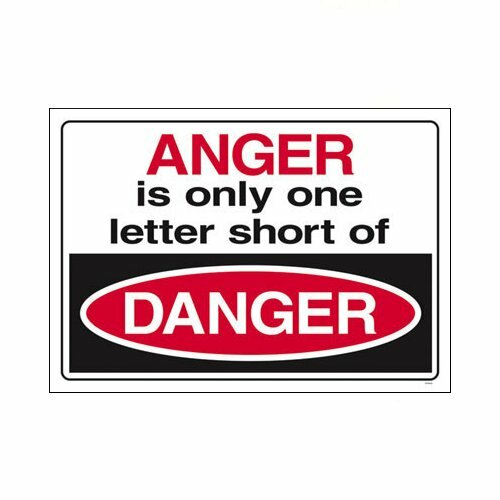 A habit of anger is a different problem, but dealing with the RULES behind anger because you understand about Justice & Control can make a terrific difference for you and you family/friends. 3. Back off control where you can. Give choices if possible. If you want someone to clean their room, then don't ask them if they are going to or not...but you can give them a choice about timing. Even better, something like, "Do you want to clean your room alone or would you like my help?" can do the trick. 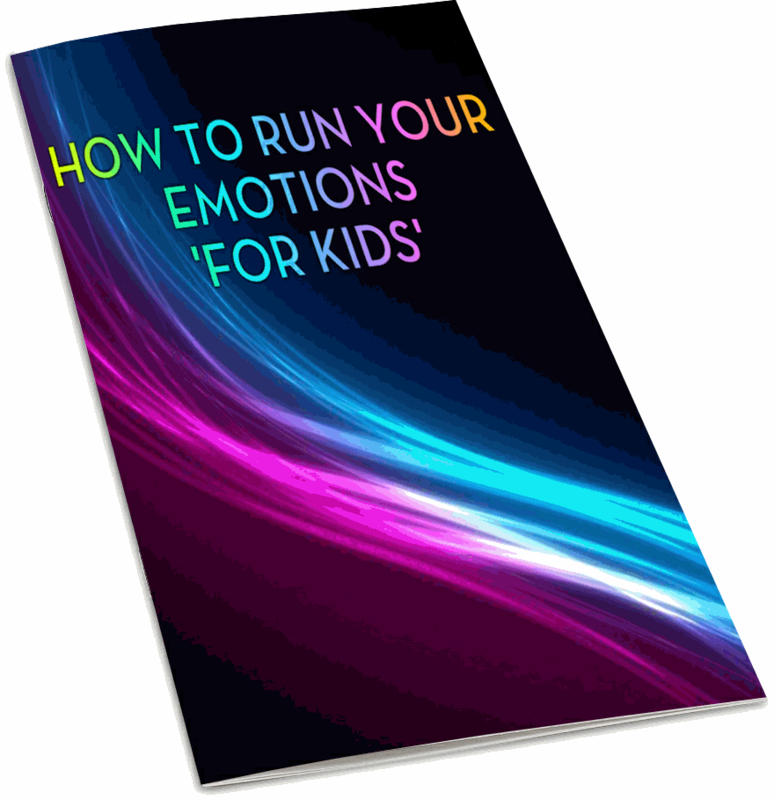 Especially as children age, your external control needs to go away if they are going to ever learn to avoid anger and be responsible for their own choices. Giving choice can be quite calming and quite empowering...but you have to mean it! If it isn't a real choice, then don't ever (ever) call it one. So, go play around with it. I bet you'll see some noticeable improvement; but please, don't make it a RULE that others SHOULDN'T have rules...then a new mess will be spawned in your world! Everyone likes to argue, especially when they get to be about 12 years old. “No, Dr. Lybrand, I have a quiet 12-year-old.” Well, maybe you have the exception, but something is wrong. Quiet people just argue in their heads, while other-than-quiet-people argue out in the ether. It works out that every subject you learn in life follows this form. You must understand the parts (Data), then understand how the parts fit together (Logic), before you can then use your understanding with others (Rhetoric/Communication). So, having a child who likes to argue (or an employee who does the same) isn’t bad, but it needs some direction. 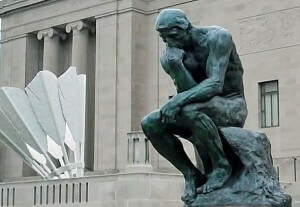 This energy easily moves into writing, because WRITING IS THINKING. 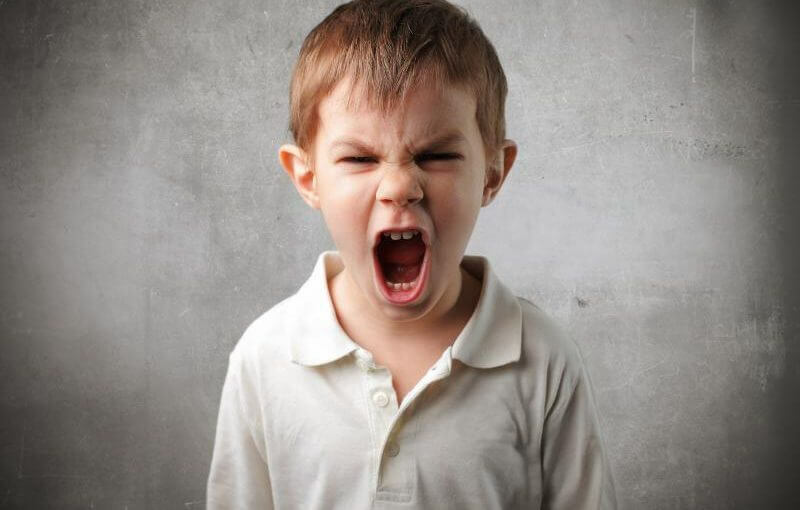 Here’s the simple thing you can do when a child gets animated about a subject or issue [our kids often preceded their argument with “They’re idiots…” We never consistently conquered this ungracious expression of frustration ;-( ]. 1. Ask them to answer this question, “Why are you so sure that _________? Asking for them to explain why they are sure means they’ll need to generate evidence (proof in data or proof in logic, or both). When we express the basis of our conviction in terms of evidence, we often see the flaws ourselves. It is SO FUN to watch a child figure out their own bad thinking! 2. Ask them to explain exactly why the other side thinks the way they do. Frankly, if you can’t argue both sides, then you don’t understand the issue. This is, in part, what the court system was intended to do…give the best argument both ways for a judge/jury to impartially decide (comment: sadly in court, ‘winning’ became more important than ‘truth’). 1. Why are you so sure that I’m wrong to (require you to clean your room before you go out)? 2. What are the reasons you think (I want you to clean your room before you go out)? It’s not a cure-all, but it will be a big deal as they grow that you direct their unction for arguing! Also, you’ll at least help them become a GOOD lawyer!